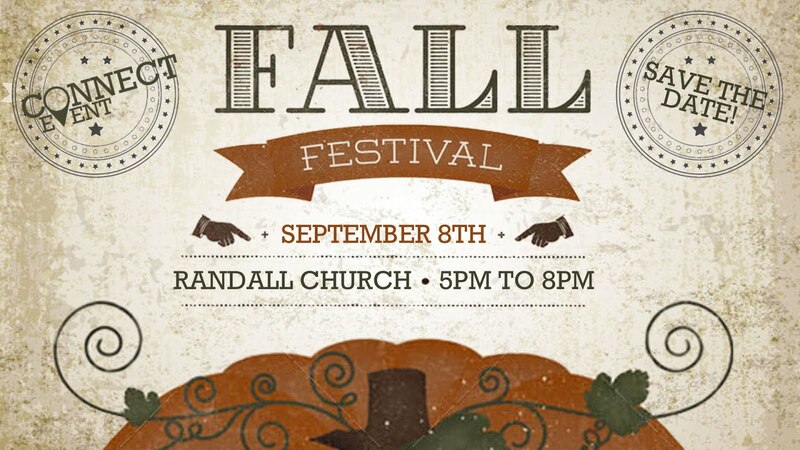 This year's Fall Festival will take place Friday September 8th, from 5:00-8:00PM at Randall Church. Come enjoy the petting zoo, horse & pony rides, hay rides, crafts, face painting, bounce houses, climbing wall, food trucks, music, games and more! Admission is free so join us as we kick off the fall!